Rosalie Sayyah has been repairing and selling costume and estate jewelry in Queen Anne for 34 years, and appraising on “Antiques Roadshow” since 1998. 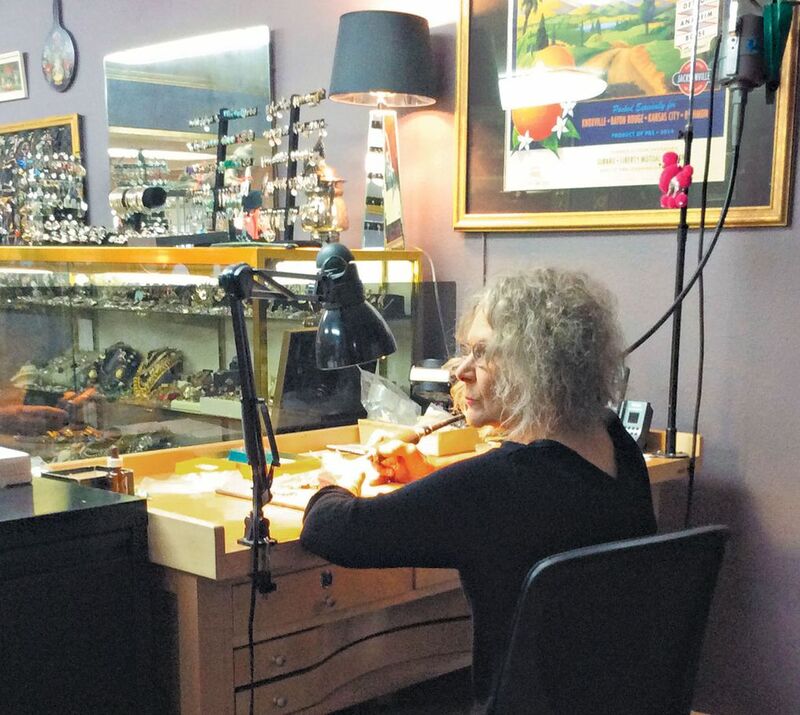 Meet Rosalie Sayyah, who owns Rhinestone Rosie in Seattle’s Queen Anne neighborhood. What do you do? For 34 years, I have been repairing and selling costume and estate jewelry at Rhinestone Rosie in Queen Anne. 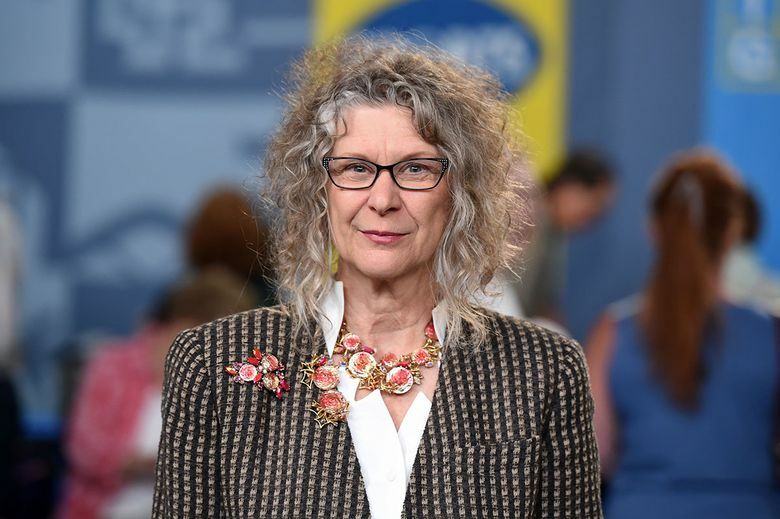 I’m also a volunteer appraiser for “Antiques Roadshow” on PBS, seeing parts of the U.S.A. I might not normally visit. My repair work includes stones; bead restringing; earring changeovers; brooch, bracelet and necklace clasps; plus various restyling. … Our inventory has pieces dating from the 1870s to 1970s, all artfully displayed. Additionally, we do evaluations to provide age, materials and retail values. How did you get started in the field? My parents had a secondhand store for 20 years: Retail and repair are in my blood, but my first career was broadcast advertising. I left to pursue motherhood and repairing things in a friend’s vintage store, opening my own business in 1984. I am self-taught, learning lead soldering, gluing and painting from local hobby guys. My background in advertising gave me the expertise and confidence to successfully promote the business. What’s a typical day like? We are a destination place with not a lot of walk-by traffic, so people make an effort to visit. Customers bring in and pick up repairs, have outfits with them to accessorize or just come in to look. I am totally hands-on with selling, repairing and communications. It’s a small shop with thousands of items on view, resulting in plenty of “oohs” and “aahs” for first-time visitors. 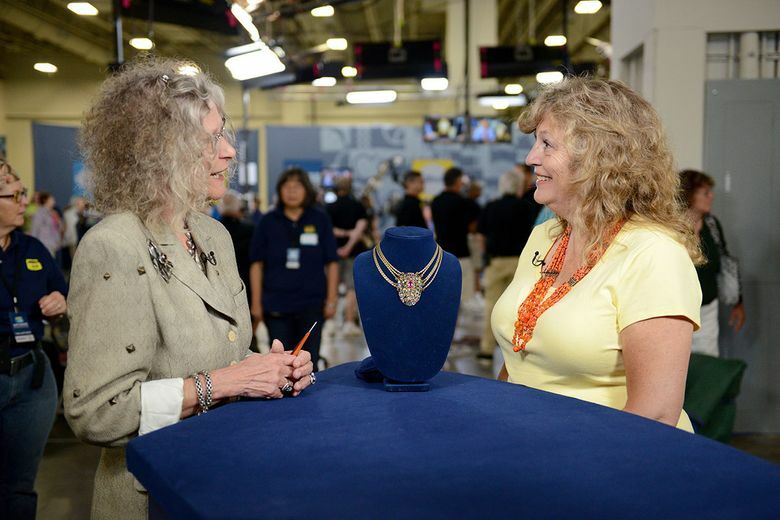 How do days unfold when you are appraising on “Antiques Roadshow”? It is only one day on the set: 7:45 a.m. to 8-9 p.m. Each visitor gets about five minutes. Producers make the call when it’s a TV-worthy item. Then, to makeup, research, confer with other appraisers and finally tape — all in about one hour. This one-day shoot yields three shows. … Fans are thrilled to see a local gal on the show! What surprises people about what you do? That there is a full-time, brick-and-mortar business dedicated to the preservation of vintage and contemporary costume jewelry; that there is an actual “Rosie” behind it … who can answer most any questions about their jewelry; and that all the work is done in house by me. What’s the best part of the work? Making people happy! Repairing items deemed unrepairable means we receive heartfelt thanks from our customers. We respect the sentimentality of jewelry, doing our best in restoration. … Loyal customers bring out-of-town guests to visit, and we are on many bucket lists for Seattle trips. There have been two songs written about us and a puzzle created from our jewelry.